1. WHY DO BOATERS LIKE DIESEL HEATERS? Warmth and comfort, of course, are the main reasons. Many boaters would like to extend their boating use into the shoulder seasons or even the winter. Cool summer evenings can also benefit from fast and efficient heat. A warm boat is a dry boat and this helps prevent mold, mildew and corrosion. A diesel heater system can be installed on almost any boat. Boat diesel heaters allow you to safely heat up the cabins without needing to run your main engines. The heaters can be installed on boats with diesel or gas engines using either a small dedicated plastic tank or the main engine diesel tank. Draw on the batteries is very low compared to electric heaters and they are a cost effective way to operate whether you're at anchor, underway, or in a marina. 2. WHAT IS A MARINE DIESEL HEATER? Marine diesel heaters take the form of a smallish device about the size of a large shoe box that can be installed on most boats. They are usually controlled by a simple control head box installed near the heater. There are 2 main types of diesel heaters, the forced air type (airtronic) and the radiant heat type (hydronic). Forced air heaters spread heat into cabin areas directly from the heater or via ducts and vents. Hydronic heaters work like a home radiator system heating up water which is circulated into cabin spaces via coolant hoses to individual zones (radiator and fan assembly). Both types of systems draw diesel from either a small dedicated tank or a main engine tank. Diesel is burned in a combustion chamber generating heat which is transferred through conduction and convection to air (or water) and moved throughout the vessel warming up the air. Exhaust moves directly from the combustion chamber exiting the boat through a dedicated exhaust system. Boat heaters come in several brands and their sizes and cost can vary from large to small depending on the size of your boat. In this article we will offer some simple advice on Planar, Webasto, and Espar heaters for first time users - these are the heater brands that Explorer typically sells and installs. There are others entering the BC market but these 3 have the most traction with local boaters. Planar heaters are a value priced option. Despite their low price, Planar heaters are rugged, reliable and effective. 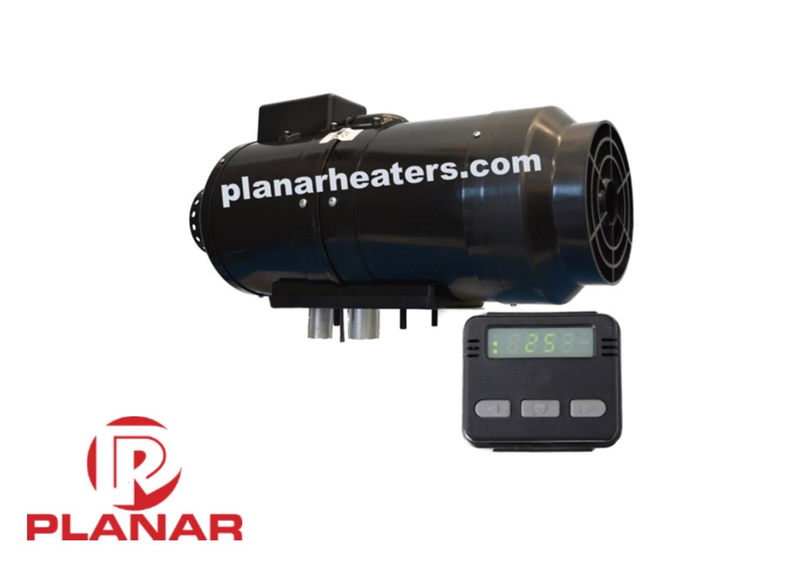 Planar heaters offer good value for recreational boaters looking to expand the boating season or warm up a cool evening. Originally designed and manufactured in Russia for transport trucks, Planar heaters have been in the BC market since the early 2010's and installed on hundreds of boats. Clients report good heat performance, low fuel consumption and reliable operation. Some boaters complained the original LED 3 button controller was tricky to learn, but Planar released an intuitive rotary controller in 2017 that has been well received by boaters. Also in 2017, Planar released a remote start and monitoring app that allows boaters to remotely access heater functions and menu's via smartphone. Webasto heaters are the German engineered high-end product. Boaters with premium finished boats or a preference for design and long term use should consider Webasto. When starting up Webasto you may notice that the system will take a moment before it begins heating operation. The system is programmed to perform a self-diagnosis to ensure safe operation. The checks include battery level, fuel type, air filter cleanliness, vent obstruction check, and more. Webasto systems are installed in thousands of boats across the globe. Espar is a well established and reliable choice for heating your boat. Priced higher than Planar but lower than Webasto, Espar has a good reputation for keeping boaters warm in BC waters. Hydronic Espars can be integrated into your domestic hot water system to supply hot water to faucets. 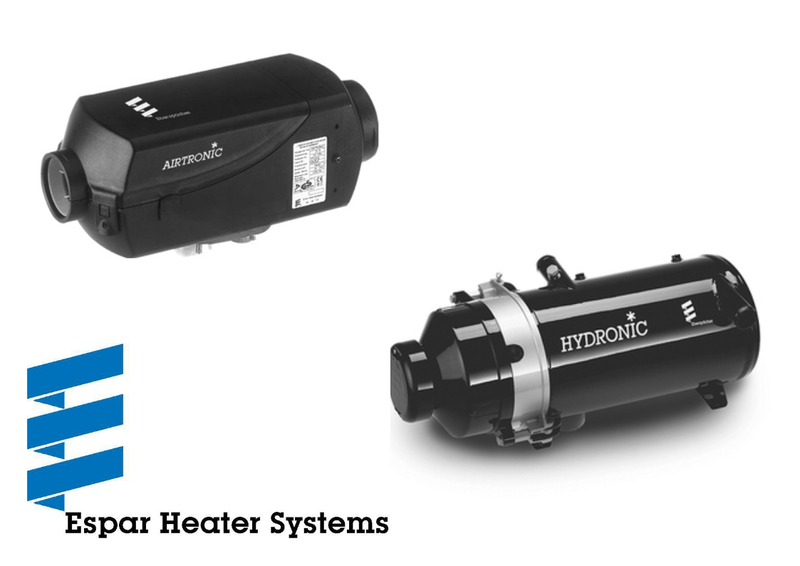 Most heater brands such as Espar, Planar and Webasto offer both Airtronic (forced air) and Hydronic (radiant heat) diesel heater types. Generally speaking, Hydronic systems are preferred in boats where multiple zones need to be heated and access limitations require low diameter hoses. 4. HOW MUCH DOES A DIESEL HEATER COST? System installation should be done by a recognized heater dealer although some of our handiest clients have installed systems on their own. The work often involves running fuel, exhaust, and electrical lines as well as fittings and ducting work. We'd recommend an all-in budget of $2,500 - $10,000 for a diesel heater system and installation. The price varies depending on which system is selected, the size and design of the system. Contact Explorer to estimate a system suitable for your needs. Operating Principle Air is heated and then circulated into cabins. Water is heated and then circulated via strategically positioned pipes around the cabin in order to radiate heat.